Become a farmer with Big Farm, the best farm game ever! Your uncle left you his little farm, but unfortunately, this one is in poor condition... Thanks to your skills in agriculture, and with the help of your friends in the game, you will be able to return to your farm and its farmyard all the prosperity it deserves! Plow and cultivate your fields, harvest fruits and vegetables, take care of your farm animals (cows, hens, pigs...), make sure your employees are happy and productive, these are some of the keys to success for your farm. You can join this community in seconds, the registration being immediate and requiring only a username and a password. This online game, one of the two biggest hits of the German publisher Goodgame Studios (with "Empire"), can be played without any installation or download, just from your internet browser. It's 100% free, and in English (you can play in few dozens of languages). In this particularly rich and graphically attractive game, you will be able to manage a farm from A to Z, having the management of your own agrarian system. By becoming at the same time breeder, farmer, fisherman, trader, organic farmer and many other things, the rural agricultural domain will have no more secrets for you... Big Farm is well named, and is certainly the most complete game among the many "farmer games" available, which explains its worldwide success. You will need to manage your plantations in the fields, where you can sow and cultivate different types of seedlings and crops, from field flowers to cereals (such as wheat, corn or alfalfa), as well as fruits (apples, cherries ...) in your orchard. Your crops will then be useful for selling or producing, for example, fertilizer or feed for the many farm animals that you can raise. These animals may for example produce milk or eggs that you can sell or process, or make manure that you can use to fertilize your fields and so on. Goodgame Big Farm gives access to hundreds of buildings (mill, henhouse, stable, barn, grain silo, nursery ...), agricultural machinery (tractors, harvester ...), goods (apples, honey, olives, fish, algae, silage, cattle feed ...), seeds, farm products, etc. The management of your farm will not stop at the simple initial farm, since over the game you can also administer a flower farm, a gourmet farm, a ranch, a fishing area and many other types of unique farms. You will also be able to join other players by joining an agricultural cooperative, which will allow you to discuss and take on challenges together. The game constantly offers you the chance to compete against other server players, and throws you hundreds of personal challenges to take up, in short, enough to spend hours making you the best farmer in the game! Goodgame Big Farm is a very complete and successful game, so it's possible that new players might get lost a bit at first. The possibilities, products, resources and tasks are numerous in this game, and to master all the available management and functionalities, it sometimes takes a little time for the player. 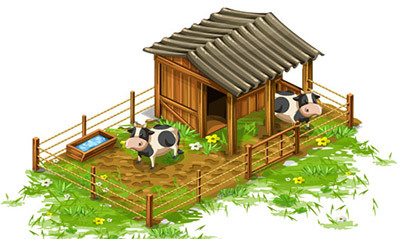 Here is the general help you may need to fully understand and enjoy this farm simulation game.